Pulkit, the single-monikered writer/director of Maroon has the kind of backstory that would inspire legions of struggling filmmakers. With no formal training in film, the 27-year-old moved to Mumbai seven years ago and decided to give himself an education by getting involved in various projects as an assistant. After working for 3 years, he made the short film Bombay 1992 which ended up travelling to the Euro Film Festival and Three Continents Festival among others. Two years later, he premiered his first feature Maroon at the Jio MAMI Mumbai Film Festival 2016 With Star. 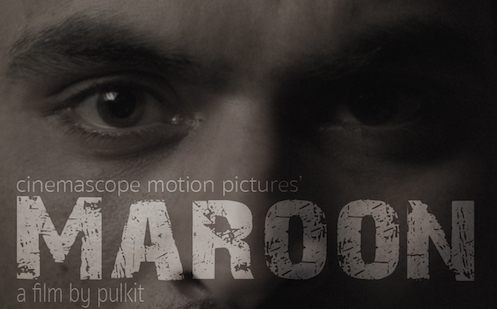 Maroon is a thriller about a disturbed professor (Manav Kaul) trying to figure out what happened to his missing wife. Kaul, who is there in almost every frame of the film, is of course something of a theatre rockstar. He made his debut as a playwright and director with Shakkar Ke Paanch Daane (2004) and followed it up with Peele Scooter Wala Aadmi (2008). In Bollywood, he’s known for strong supporting turns in films like Kai Po Che (2013) andWazir (2016) and made his directorial debut with Hansa (2012). He has just returned from Kolkata after performing the last leg of his latest play Chuhal, which is his return to acting on the stage after almost 10 years. On Oct 2 2014, after being struck by Kaul’s performance in Citylights, Pulkit messaged him on Facebook that he wanted to work together. On Oct 2 2015, they started work on Maroon. I spoke to them about the difficulties of making a psychological thriller, the Netflix model, why film festivals matter and much more. Q: Pulkit, what made you zero in on this particular story as your debut feature? Pulkit: The story was there with me from past 3 to 4 years. When I was doing research for a friend’s short film, we went to an asylum in Virar where I met a person who was actually suffering from the same kind of trauma which Saurabh Sharma (Kaul’s character) is suffering in Maroon. I wasn’t sure how to write it because it’s very difficult to show on-screen how the mind travels. Initially I was planning a different film with Manav, but he was sceptical and told me that I shouldn’t do it as my first film. So I came back and wrote Maroon in 14 days, narrated it to him and he said, “I’m doing it.” It’s because he said yes and was so excited about the film that I felt I should go ahead and make it. Q: Manav, what was it that attracted you to Maroon and the role of Saurabh? 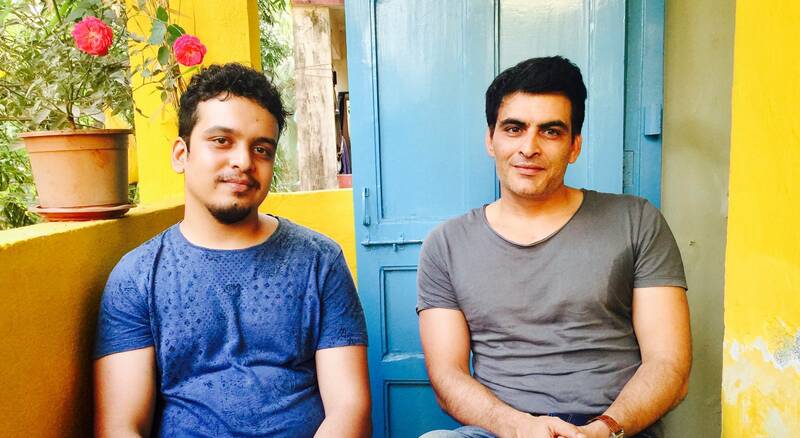 Manav Kaul: I met Pulkit a couple of times before Maroon. He would come to me and do a narration and he always had weird ideas. Initially I said, “Listen, this is too experimental for your first film.” I’ve seen a lot of people make a film like that and when that doesn’t work they go into a shell. Now, I’m in love with Dostoevsky and in love with Crime and Punishment. I’ve always wanted to perform it. So when he came and narrated Maroon to me, I thought, “This is Raskolnikov in a very modern setting.” He had managed to write a beautiful movie about guilt. I knew how to perform it and if we could achieve even 60% of that we would have done it. When I saw the final film, I told him, “You have no idea what you’ve made”. I’m grateful I said yes. Q: Pulkit, Maroon had its world premiere at Jio MAMI Mumbai Film Festival with star last year. That is where the film was picked up by Netflix. How was your experience being at the festival? P: MAMI was the first and best festival I’ve had. I waited for it. In fact, I chose to skip a couple of festivals because I wanted to do a world premiere at MAMI. There are other film festivals in India, but the Mumbai Film Festival is the kind that has really grown. You see people standing in queues and you can see the love of cinema in their eyes. I remember there were people sitting on the floor for a show of The Salesman. People come all the way from Virar and Thane to watch films at MAMI. Starting with home is always good. The audience also reacted very well. Q: The landscape for independent filmmaking has opened up so much in the last few years. With the arrival of Netflix and other streaming platforms, do you think there is still a notion that a theatrical release is as important? P: See the theatre is very important and we did make Maroon for the theatre only. Because when you make a film you think like that. But ultimately the theatre is not meant for people who are making films out of passion. For doing a theatrical release you need more money than you used to actually make the film. My film cost less than 1 crore, I have to put 1.5 crore to promote the film, to get the audience in. But even then, there’s no guarantee that I’ll get good shows. See people don’t have time yaar. Watching a film in a middle-class family is like a holiday. If you go watch a film like Dhoom 3 it costs you Rs. 1200 for tickets, then popcorn, cold drinks. It eventually ends up 2500/2600. So why will people come to watch films that are not backed up? And why will I watch Maroon? This month Raees is coming I’ll save the money and go for that because it has more entertainment value. Because jo dikhta hai woh bikta hai. There’s no point in releasing in theatres with a few shows and barely anyone going. It’ll eventually be a disappointment for the filmmaker and for the producer. That’s not the case with Netflix or iTunes. I know from my research that Netflix has grown in India. When I made the deal, it was 20000 subscribers and now it’s around 5 – 6 lakh in Mumbai. I see people watching content on their phone, tablets, everywhere. They watch it, they write reviews and they talk about your film. It’s all very convenient. Q: Manav, your character is on screen for the entire movie, often by himself. Did you know exactly what you wanted to do? Were you ready for it? MK: Absolutely. Because the kind of loneliness this character is going through, I understand that loneliness very well. The kind of literature I like comes from that, so I understand Saurabh so well. Q: Did playing such an isolated and lonely character affect you on a personal level as well? MK: See I’d always heard these things about what some actor had gone through after a shoot, where they had to go to a doctor to talk about it. I never thought it could happen to me. After we finished the shoot of Maroon in 15 days I was getting very cranky. It was too much for me. I used to get exhausted. I used to listen to music all the time because I wanted to get away from all this. When I came back, it took me a week to normalise my eyes because I’d stopped meeting people and making eye contact. Slowly I got back to normal. P: He was very edgy on set. He would start shouting whenever we would cut and I thought, “Why are you shouting yaar, that’s my job!” But when I was editing the film I realised that it’s not easy for an actor. He had to complete the cycle. That was my learning; you shouldn’t yell cut in that moment. You let the actor perform. Q: Manav, you’re a veteran director. When you’re acting for a different director, do you tend to think like a writer or director yourself? MK: No not at all. In this case, I would give Pulkit some suggestions. But on other sets I don’t even say that I’ve done theatre or anything else. Because that’s a different life, a different person. Q: What is one thing you’d like audiences to take away from the film and your performance? MK: I like it when people have a lot of questions after a film. I like it when I keep thinking about a film after watching it. That’s what the best cinema does. And that’s what this film has the potential to do. You will think about the film and you will want to watch it again. Maroon premiered at the Jio MAMI Mumbai Film Festival 18 with Star and is now streaming on Netflix.